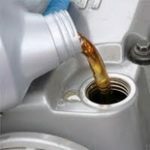 Most drivers have been trained to understand the importance of changing their engine oil and filter every 3,000-5,000 miles. Without this regular service, your motor will eventually fail! What drivers may not know is that most of the major systems on a vehicle require similar fluid exchanges including the cooling system, transmission, brake system, power steering, differentials (rear-end), and 4×4 transfer cases. Without eventual service, these systems will cause damage to or reduce the life of the components protected by their particular fluid. We use BG products for premium system services, especially when both cleaning & flushing are needed. We also offer standard, economy line quality products for most system flushes, and can advise you based on the condition of your vehicle. Your owner’s manual is a guide to the frequency of service needed, but each vehicle must be evaluated based on mileage, driving conditions (stop & go vs. highway) and performance (the sound and feel of your car). Our technicians will recommend these services accordingly. For flushes & fluid exchanges other than oil & filter changes, we are proud to offer premium services using BG products. You can find details on every fluid & flush service we provide by clicking the link below, and following the “services” link. We are also adding several lines of premium WYNN products to our customers, including a premium oil flush, a fuel induction service, and a full headlamp restoration. 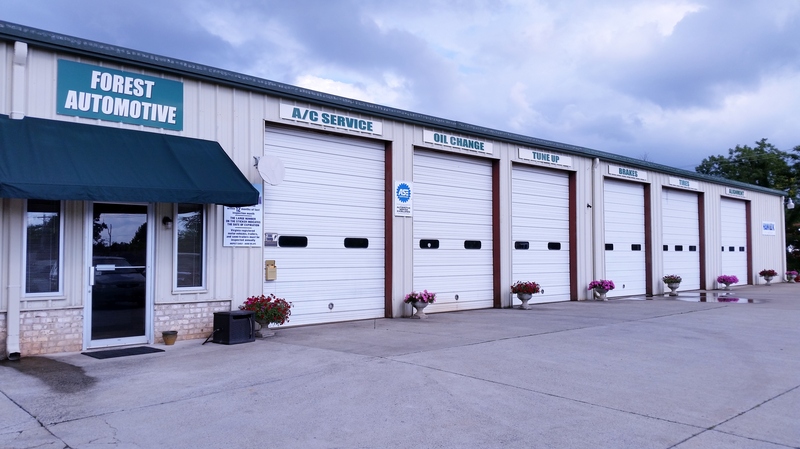 Forest Automotive's standard oil change service includes a free tire rotation, tire pressure monitor reset, & vehicle check. We carry each weight for our synthetic services & use factory approved products. Synthetic with Full Vehicle Check-over, Tire Rotation, & TPMS reset* runs $59.98*. Synthetic services are recommended for customers who want a longer time span between visits - 5,000 to 7,000 miles - & maximize fuel economy and engine performance.